﻿The﻿ most comprehensive and detailed guide to building a telescope you've ever seen! ﻿Let﻿ my book help you to construct a powerful instrument that will virtually take you to worlds beyond. If you've ever used the most basic carpentry tools, then you will be able to construct this telescope easily. Everything you need to know is in this book including information on materials, tools and measurements, along with helpful advice. This telescope is extremely simple to set up, to use and to transport. 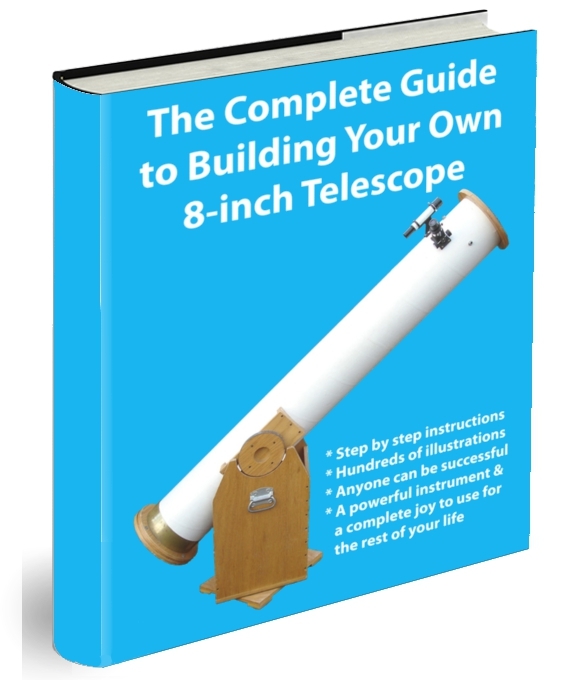 Order your own copy of The Complete Guide to Building Your Own 8-inch Telescope today for only $9.99 and receive a bonus eBook for free called 101 Fun Facts on Astronomy to enjoy as well.